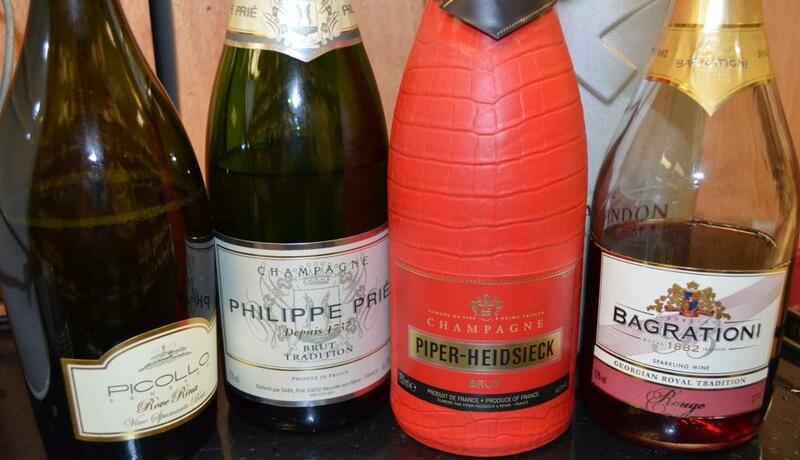 Home > Champagne, Sparkling wine, Wine Tasting	> Bubbles, Bubbles, Bubbles Everywhere! 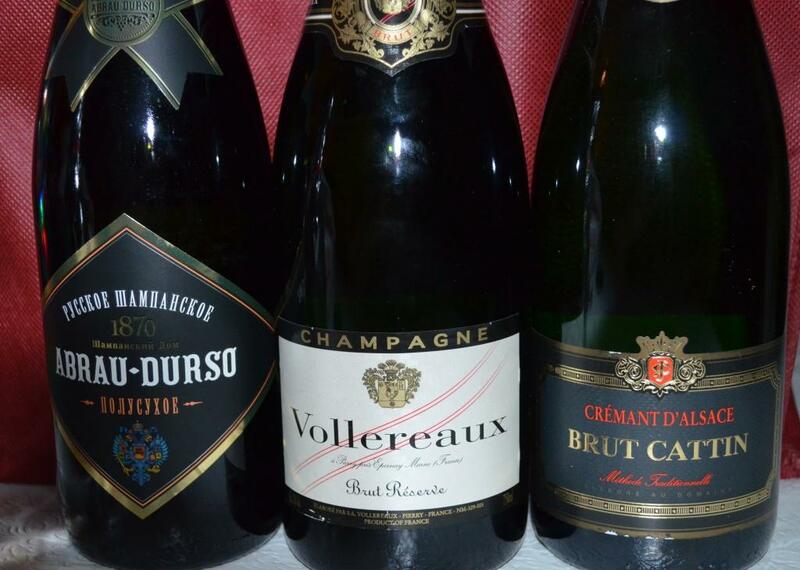 New Year is around the corner, and of course, we are all talking about sparkling wines. That little effervescence, the tiny bubbles, they create mood and tell us “this is all good, we got something to celebrate, let’s have fun”. There is hardly a wine blogger today who didn’t write about Bubbly. Let me join them, and share some recent encounters and (in the spirit of summing up a year) some of the old ones. Picollo Ernesto Rove Rina Vino Spumante Brut – Italian sparkling wine made in the Gavi region out of Cortese grape. Simple and refreshing, probably could use a touch more acidity. Has apple undertones on the palate. Champagne Piper-Heidsieck Brut NV – yeast, baked bread, green apples on the nose – very balanced and refreshing on the palate. Best of tasting. Bagrationi 1882 Sparkling Wine Rouge NV, Georgia – while I had a number of Bagrationi sparkling wines before, this was my first tasting of the Bagrationi Red. This wine is a blend of 4 different grapes. Very nice nose of fresh fruit. Full bodied, with the touch of sweetness on the palate, but only a touch. Very refreshing and very pleasant. Here are few extra bubbles for you. First, for the full immersion into the sparkling world, visit this Pinterst collection of all things Champagne. Now, here are the links for some of my past blog posts about Sparkling wines – a 2006 newspaper article and 2011 update to it. In 2012, I learned how to saber the bottle of sparkling wine with the wine glass. Here is a link to the blog post about it. And here is how professionals do it. What bubbly will be in your glass? Cheers! Interesting that you got to try a sparkling Cortese: was it a Charmat-Martinotti Method? I don’t know if you ever happened to try out La Scolca’s Brut Millesimato, a Classic Method Cortese aged 6 years on its lees. It is something really special and worth trying out.